Easy set up; The best thing about Daikan split Ac is that snugly fits into any space. No need to provide huge space. Even you can install that easily in small apartments as well without any ductwork. Save energy: Somewhere this is what makes the brand Daikan a leading. Coming to energy consumption which is quite less. 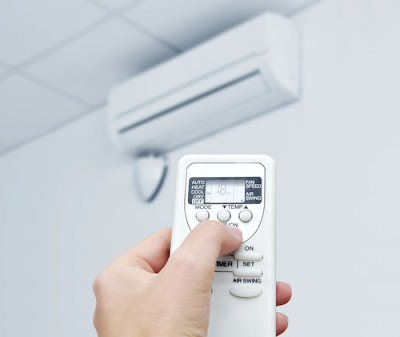 Most importantly, the split ac is driven by the heat pump technology which efficiently saves the energy and helps you to use this for both hot and cold zones. High end technology used: The brand excels to maintain a good air flow, that is they used air- comfort technology to ease out the conditioning process. Additionally you should be briefed about the inverter technology used as well. Inverter is a new and very effective technology in the ACs. This technology has the potency to reduce the electricity consumed by the machine. Maintains good humidity level: No matter what is the temperature , but the brand nails to keep up an adequate level of humidity. 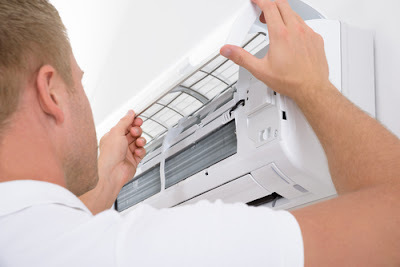 The best to note is that without setting up any water tank, the split ac maintains a comfortable atmosphere. Additionally you should know that it also dehumidifies as well. Easy working of the split ac: The split ac from Daikan attaches one outdoor unit to respective indoor unit. Over all, it is the best chosen for one room. 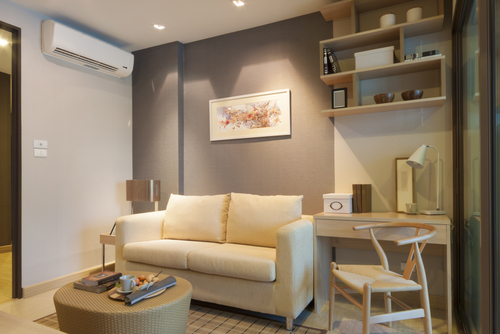 Varieties to explore: The stylish and composed split ac’s from Daikan is something you always want to have. Undoubtedly there is a wide range of style to discover. Choose any one of the sophisticated ones to beautify the room. Thus, top- notch technology has been used to add uniqueness to the air conditions. low sound Ac: The brand has implemented a low sound technology to instill tranquil and quiet ambiance. The best feature of the Mitsubishi mini split is that it uses the required amount of energy. In fact, modern heat pump installed does not lose any energy like conventional ones. One more thing here the energy is used as needed therefore nothing is wasted on vacant rooms. Above all, the brand has labeled most of its air conditions with an energy star. It also makes you save good amount on the electric bills as well. The brand has used eco comfort technology, which aims to maintain a cozy ambiance inside the room. In addition to that, it has an inbuilt user- friendly refrigerant technology which uses the Zero Ozone Depletion Potential. Additionally the invertor- compressor technology is again something to watch for. This helps to maintain a standing temperature in the room. The Mitsubishi mini split uses triple action filtration system which actually prevents dust, pollen, bacteria and viruses from entering into the room. Additionally it also prevents any kind of allergens as well. The robust filtration technology discards any kind of bad odor from the room. Thus ensures a healthy and sound environment. The brand has launched a no noise whispering Acs. The best is that it emits noise which is as less as a whisper. Both the indoor and the outdoor units emit less sounds. The installation is quite easy and hassle free. The technicians will guide through the process. They will even hint you to maintain the heat pump so that it won’t get damaged. Indoor unit: Daikan compared to Mitsubishi actually provides smallest indoor units that can easily be mounted. Quietest: As said earlier both the brand features no noise ac system. But while comparing you would see that Mitsubishi gives the quietest indoor units. Operating weather condition: You would see that compared to Daikin, the Mitsubishi can operate the temperature to -15 degree Fahrenheit in the heating mode. Heating efficiency: In this category somewhat Daikan has beaten Mitsubishi because the first provides heating efficiency around 12.5 HSPF. While that the of the later one is only 10.5. Mini Split cooling efficiency: It is quite difficult border between the brands as both of them perform almost equally in terms of cooling efficiency having 23 SEER. For temperate region: If you reside in any of the temperate or hottest zones, then Daikan is the one to choose for. For colder regions: Mitsubishi is the ideal answer for those dwelling in the colder regions. Max height difference in Pipes: In case of Daikan the maximum pipe height difference is only forty nine feet. While that of Mitsubishi is only forty feet. Sound level: In case of the Daikan the sound level in both the outdoor and indoor unit varies from 49 to 63. While that of Mitsubishi the outdoor unit is 49 but the indoor unit can be 22 , 33 , 43 or 45 as well. Therefore, you can choose any of the brands because both are distinct from each other. Obviously they do vary in respective terms. Prior buying you should consider certain aspects so that you can take the right decision. If space is a problem , then obviously Daikan is the answer. While you want to buy to adjust the weather conditions then surely raise your hand for Mitsubishi mini split. Again there is a bit difference between the two in terms of price as well. You can choose either of the brands. Both are efficient enough to give you a comfy indoor ambiance.